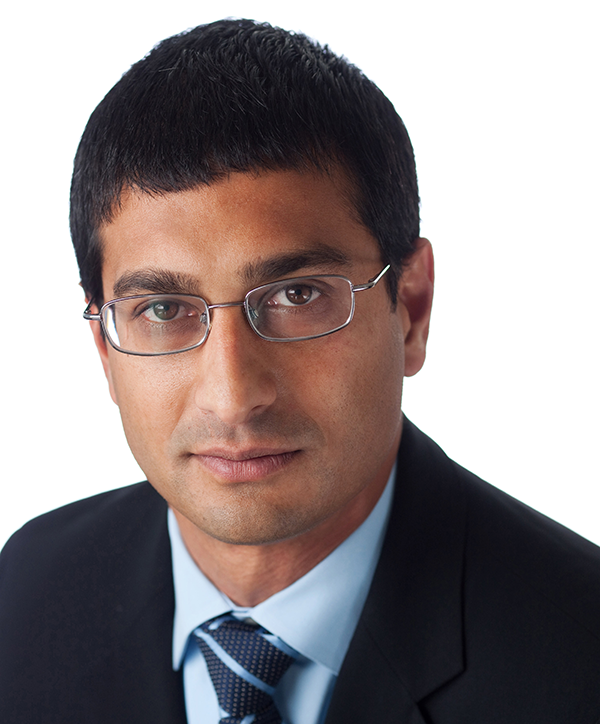 Amrit Kulkarni is a member of the firm’s Executive Committee and chairs the Land Use, Environmental Law, and Transportation & Infrastructure Practice Groups, reflecting the reality that these Practices are highly integrated, the respective laws and regulations often overlap and clients depend on his strategic insight at the intersection of the three areas. Amrit’s group has received two Tier 1 rankings in the “Best Law Firms” list developed by U.S. News – Best Lawyers® for the categories of Litigation-Environmental (Metropolitan Los Angeles, 2016) and Natural Resources Law (Metropolitan Oakland, 2015-2017). Amrit’s specialty is providing transaction and litigation counsel on high-profile, complex and often controversial civil infrastructure and commercial and urban development projects. He also has experience advising on the unique issues that are involved in public-private partnerships. Amrit’s project experience includes serving local, state and national clients that are involved in airports, passenger transit systems, freight rail networks, ports, harbors, highways, water resources, office buildings, mixed-use residential developments, university campus expansions, and a wide range of commercial and industrial facilities. He advises on an extensive scope of laws, including the California Environmental Quality Act (CEQA), National Environmental Policy Act (NEPA), State Planning and Zoning Law, Coastal Act, Tidelands Trust, Subdivision Map Act, Cortese-Knox-Hertzberg Act, Mitigation Fee Act and Clean Water Act, among others. Amrit provides transactional counsel during a project’s planning, development and implementation phases, particularly relating to the entitlement process, as well as litigation expertise when clients need to defend or challenge a project. His team is well recognized for its outstanding record of litigation victories, from trial through appeal, involving complex factual and legal issues that arise under CEQA, NEPA and the myriad of environmental laws that apply to projects in California. Port of Los Angeles (POLA). Pacific L.A. Marine Terminal, Tank Farms, and Pipelines Project. Advised POLA on compliance with CEQA and NEPA in connection with its preparation (along with the U.S. Army Corps of Engineers) of a joint Environmental Impact Statement (EIS)/Environmental Impact Report (EIR) for a proposed crude oil terminal and related infrastructure. Berths 302-206 (APL) Container Terminal Project. Advised POLA on preparation of an EIS/EIR for improvement and expansion of the existing APL container terminal to accommodate 3.2 million 20-foot Equivalent Units (TEUs) and 390 ship calls annually at full capacity. The proposed project would install up to eight new cranes and construct approximately 1,250 linear feet of new concrete wharf. Berths 97-109 (China Shipping) Container Terminal Project. Represented POLA on compliance with CEQA and NEPA in connection with its preparation of a joint EIS/EIR for a proposed new 142-acre container terminal and related infrastructure, and for the China Shipping Lines at Berths 97-109. Clean Trucks Program. Represented POLA and the Port of Long Beach in connection with environmental review of implementation of a concession program to convert existing diesel trucks to liquid natural gas. Ultramar Inc. (Valero) Marine Terminal Lease Renewal Project. Advised POLA on compliance with CEQA and NEPA in connection with its preparation of an EIR for a proposed lease renewal for a marine petroleum products terminal on a 10-acre site at Berths 163-164. Under the proposed lease renewal, annual throughput at the facility would increase to 17 million barrels from an existing rate of 14 million barrels. Port Master Plan. Advised POLA on preparation and environmental review of an updated Master Plan to govern all industrial projects and land use at the Port. The updated Plan replaced the prior Master Plan, which dates to 1980. $13 Billion Expansion. Represented Los Angeles International Airport (LAX) in connection with its approval of a $13 billion airport expansion. Advised LAX on a broad range of land use and environmental issues, including CEQA, NEPA, the California Coastal Act, the Federal Coastal Zone Management Act, federal and state endangered species laws, and other state and federal regulatory requirements. Airfield Improvement. Served as the outside land use counsel for the CEQA review of the South Airfield Improvement Project, the first project to be implemented under the LAX Master Plan. Burlington Northern Santa Fe Railroad (BNSF). Advise BNSF, North America’s second-largest freight railway, on CEQA, land use and regulatory issues relating to an EIR for a Southern California segment of the California High Speed Rail project. University of California System. Representing the University of California in multiple campus expansion projects (such as the UC-Santa Cruz North Campus Expansion and the Lawrence Berkeley National Laboratory Solar Energy Research Project) as well as working with numerous campuses on their long-range development plans (LRDP) and planning processes, providing crucial advice on land use, CEQA review/approval and EIR development, and relating permitting issues, including CEQA, ESA, water quality and wetlands matters. These include long‐term planning projects at UC‐Santa Cruz, UC Davis, UC‐San Diego (La Jolla and Hillcrest) and other campuses. The types of development projects include housing, mixed-use projects, and academic and research facilities. Los Angeles Department of Water and Power (LADWP). Representing LADWP on the environmental review of the Elysian Reservoir Water Quality Improvement Project and the Stone Canyon Reservoir Water Quality Improvement Project—two projects to cover existing open reservoirs to bring them into compliance with updated Environmental Protection Agency drinking water quality standards. High-Speed Rail. Advising municipalities regarding CEQA/NEPA and related issues in connection with the high-speed rail project, DesertXpress, between Victorville and Las Vegas. BART Silicon Valley Expansion. Representing the Santa Clara Valley Transportation Authority in connection with CEQA compliance for the BART extension project. SCVTA has done multiple long-range plans and environmental review for those plans. We have provided assistance in the development of those plans and environmental review. Burlington Northern Santa Fe Railroad (BNSF) – Southern California International Gateway (SCIG). Represent BNSF, North America’s second-largest freight railway, in seven consolidated lawsuits and related appeals challenging the company’s planned $500 million rail transfer facility on CEQA and other environmental impact and environmental justice grounds. Critical to BNSF’s national business strategy, the SCIG Project will create a new near-dock rail yard for the loading of shipping containers heading to and from the Los Angeles-Long Beach port complex, the nation’s largest container port. Los Angeles International Airport. Advised LAX in the defense against multiple lawsuits challenging the approval of the airport’s $13 billion expansion plans for alleged violations of CEQA, NEPA and the California Coastal Act. San Diego County Water Authority (SDCWA) v. City of Los Angeles Dept. of Water and Power. Represent LADWP in a lawsuit by SDCWA challenging Metropolitan Water District of Southern California’s adoption of water rates. City of Los Angeles v. California Air Resources Board. Defend LADWP in litigation resulting from implementation of the stipulated judgment in the Owens Valley litigation. Mono County, et al. v. LADWP, et al. Represent LADWP regarding CEQA review and potential lawsuits by Inyo and Mono Counties and ranchers regarding renewal of ranching leases in Owens Valley. Owens Valley Committee v. LADWP. Successfully defended LADWP in a CEQA action regarding changes to a mitigation measure in an EIR that analyzed a historic water agreement for the City’s aqueduct and transfer of water from Owens Valley to Los Angeles. Berkeley Hillside Preservation v. City of Berkeley. Represented Lotus founder Mitch Kapor and his wife, Freada Kapor-Klein, before the California Supreme Court on a case that Law360 called the “biggest CEQA case” and the Daily Journal described as affecting “how public agencies handle common exemptions from California’s bedrock environmental law.” On March 2, 2015, the Court issued its highly anticipated decision in Berkeley Hillside Preservation v. City of Berkeley (S201116), resolving years of uncertainty by holding that there must be “unusual circumstances” in order for an otherwise categorically exempt project to be subject to CEQA. The Court also resolved a divide among Courts of Appeal, holding that an agency’s findings as to unusual circumstances are subject to the substantial evidence standard. Saltonstall I was the first appellate decision addressing the constitutionality of a project-specific CEQA streamlining statute, setting a valuable precedent for other projects. The Court rejected the project opponents’ arguments, holding that neither the expedited schedule nor the heightened factors for injunctive relief posed an unconstitutional infringement on the power of the courts. The Court also held that the project opponents failed to meet their burden for showing that injunctive relief was appropriate. Saltonstall II, which affirmed the sufficiency of the City’s Environmental Impact Report and dismissed the project opponents’ appeal of a trial court’s denial of its CEQA challenge, was one of the fastest CEQA cases on record. The case was heard under the new statute’s expedited requirement that all legal challenges, including environmental, be resolved within 270 days after certification of the administrative record. The decision was issued on day 261. The case also was the first appellate decision addressing a CEQA streamlining statute that allowed a city to commence eminent domain proceedings prior to completing the environmental review of a proposed project. Westwood v. Board of Regents. Representing the University in a CEQA lawsuit challenging approval of a housing project on the UCLA campus under its Long Range Development Plan. Klein/AFSCME v. Regents of the University of California. Representing the University in the defense against a CEQA lawsuit challenging approval of the EIR and CEQA findings for the UC Davis Long Range Development Plan. Save Berkeley Neighborhoods v. Regents of the University of California. Representing the University in defense of writ of mandate and declaratory relief claims under CEQA alleging that student enrollment increases from LRDP projections are subject to environmental review under CEQA. Community Water Coalition v. Santa Cruz Local Agency Formation Commission. Successfully represented UC-Santa Cruz in a lawsuit challenging the ability of the University to apply to LAFCO for water service associated with the future expansion of its North Campus. The trial court sustained the University’s demurrer to the complaint, and the court of appeal upheld the ruling in a published decision. Save Strawberry Canyon v. Regents of the University of California. Successfully defended Lawrence Berkeley National Labs at UC-Berkeley in litigation challenging an EIR for the new Solar Energy Research Center, one of the first EIRs to address the potential environmental impacts of nanoparticle research and handling. Save Westwood Village v. Regents of the University of California. The University of California’s General Counsel engaged Meyers Nave to help “bullet-proof” the Environmental Impact Report for one of UCLA’s highest-profile projects, the 294,000-square-foot $162-million Meyer and Renee Luskin Conference and Guest Center. As expected, opposition groups filed lawsuits raising numerous challenges, including CEQA, zoning and taxation. Our guidance during the EIR administrative process, with a focus on anticipating potential litigation, was validated in a subsequent series of courtroom victories, culminating when an appellate judge rejected all CEQA claims filed by a community group to stop construction. Meyers Nave also convinced the Court to dismiss the project’s primary donors from the case, arguing that this was retaliation for exercising their free speech rights. Larsen v. City of Albany; Albany Strollers and Rollers v. City of Albany. Prevailed at trial and in the Court of Appeal in a CEQA case challenging the City of Albany’s approval of the University Village project, a public-private partnership. The project includes a 175‐unit senior housing facility, 83,000 square feet of retail space on two lots, including 55,000 square feet for a full service grocery store, associated parking, pedestrian and bike paths, and storm water drainage facilities. One case was settled on terms favorable to the University. Habitat and Watershed Caretakers v. City of Santa Cruz. Advised UC Santa Cruz as a real party in interest on the adequacy of the City of Santa Cruz’s Environment Impact Report for extraterritorial provision of water and power. We have been advising UC Santa Cruz on a strategy for working with the City of Santa Cruz to ensure adequate water supply to effectuate the LRDP plans for the North Campus expansion. Sherman Oaks Residents for a Safe Environment v. City of Los Angeles. Representing the City of Los Angeles in a CEQA lawsuit challenging the Il Villaggio Toscano project, a residential, commercial and office development. Bruce D. Kuyper, et al. v. City of Los Angeles. Representing the City of Los Angeles in a CEQA lawsuit challenging a five-unit townhouse development. Crenshaw Subway Coalition; et al. v. City of Los Angeles. Representing the City of Los Angeles in a CEQA lawsuit challenging the CEQA and project approvals for the Cumulus Transit-Oriented Mixed-Use Project. 8150 Sunset Project. Representing the City of Los Angeles in four different CEQA lawsuits brought against the Frank Gehry-designed 8150 Sunset Project, a mixed-use development. 333 La Cienega Project. Representing the City of Los Angeles in three different CEQA lawsuits brought against a mixed-use residential and transit oriented building. Save Valley Village v. City of Los Angeles. Successfully represented the City of Los Angeles in a CEQA lawsuit challenging mitigated negative declaration involving demolition of a former residence of Marilyn Monroe. MLK Marlton LLC v. City of Los Angeles. Represented the City of Los Angeles in a CEQA lawsuit challenging the Mitigated Negative Declaration and related approvals for the Baldwin Hills-Crenshaw Medical Offices. Beachwood Neighborhood Association v. City of Los Angeles. Defended the City of Los Angeles in CEQA lawsuit challenging two clarification conditions related to mixed use development project. Las Lomas Land Company, LLC v. City of Los Angeles. Represented the City of Los Angeles in a CEQA and land use action challenging the City’s decision to reject a large development project without completing CEQA review. The trial court sustained the City’s demurrer to the developer’s complaint for violation of CEQA and civil rights and seeking $100 million dollars in damages, and the Court of Appeal affirmed in a published decision. The Supreme Court denied review. Santa Clara Valley Transportation Authority (SCVTA). Sharks Sports & Entertainment LLC v. SCVTA. Represent SCVTA in connection with a lawsuit filed by the San Jose Sharks regarding violation of CEQA and potentially NEPA. SCVTA v. Eastridge Shopping Center, LLC. Represented the Silicon Valley region’s largest transportation planning and construction agency in a condemnation action to acquire property for construction of the Capitol Expressway Light Rail Project. Representation included a successful motion to strike the shopping center’s allegation that SCVTA’s CEQA review of the Project was inadequate. CWCA Wrigley Creek 13, LLC v. SCVTA. Successfully defended SCVTA in a CEQA action challenging the adequacy of a supplemental EIR for the BART Silicon Valley Project, which extends the BART system from Fremont to Santa Clara. Issues in the case included alleged improper pre-commitment to the Project under Save Tara and adequacy of environmental review relating to traffic and parking impacts. The case also challenged SCVTA’s compliance with the California Public Records Act and sought to compel production of emails relevant to the settlement of the CEQA action. Berkeley Keep Jets Over the Bay v. Port Of Oakland. Successfully represented the City of San Leandro in its challenge to the Port of Oakland’s CEQA review of its airport expansion plans. Concerned Dublin Citizens v. City of Dublin. Successfully defended the City of Dublin’s use of a previously certified EIR for implementation of a residential project under the Specific Plan. This is the first published case to interpret state law in allowing reliance on a certified Specific Plan EIR for individual project approvals. The court also ruled that new information on GHGs and new Air District regulations did not trigger requirements for a supplemental CEQA review. Meyers Nave advised the City during the administrative process to create a defensible record for anticipated litigation.